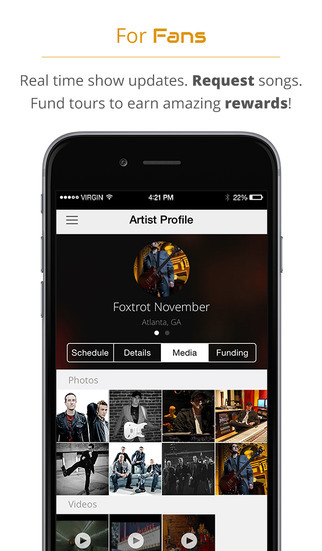 ShowSlingeris an exciting free app for iOS that is designed to work for both artists and venues to make the whole ‘gig’ process that much easier. Anyone with a working knowledge of their local live music scene will know that it’s a tough market. As a new band or artist, it’s difficult to get your name out there and can be even harder to get a live gig. Traditionally, artists would need to approach venues directly to spruik their services or to join an agency or booking group to line up shows for them. Agents generally charge considerable fees in return for arranging gigs, and as a band, your reach is going to be limited by the effectiveness of your agent. ShowSlinger hopes to change the game, providing a platform from which artists can get bookings, raise funding for new tracks, albums or tours as well as offering a unique discovery avenue and promotion tool for venues. 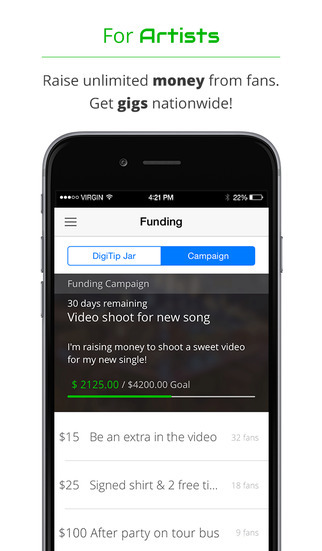 For artists, there is a ‘DigiTip Jar’ feature so that fans can tip the band at their next gig as well as a more comprehensive crowd-sourced funding feature. Whilst at the show, the ShowSlinger takes advantage of location-services to serve up information such as set-list, tour schedules and funding campaigns for fans who use the app. Fans can also contribute money to their favourite local artists in return for ‘rewards’ in a similar fashion to Kickstarter. People can also use ShowSlinger to follow bands, check tour dates and check out their latest photos/videos. 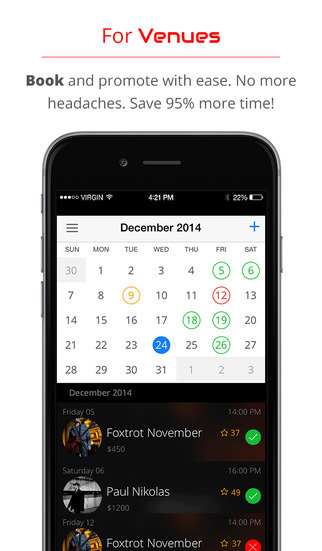 On the Venue side, bar and club promoters can easily find new acts and book them in for shows with the built-in calendar and scheduling tools. Venue owners can promote shows that they have scheduled, keeping patrons and fans alike up to date with what’s on. 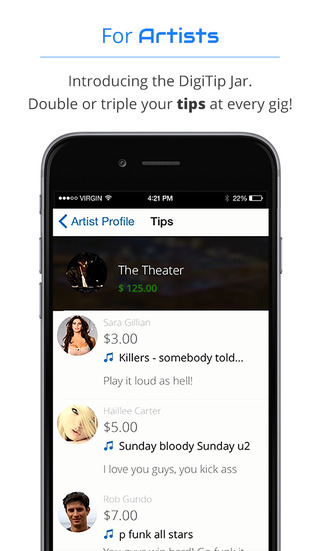 An ambitious app, ShowSlinger has a strong feature-set that caters to the whole live music ecosystem from venues and artists right through to the fans that make it all possible. Download it now for free on the App Store. ShowSlinger requires iOS 7.1 or later. Compatible with iPhone, iPad, and iPod touch.